The article discusses programmable sound generators (PSG) of the home computer era (1970s–1990s) and the problem of a historiographizing of them. An alternative way of examining and describing their features for scientific purposes will be suggested: computer archaeology with its methods of measuring, demonstrating, and re-enacting technical processes. 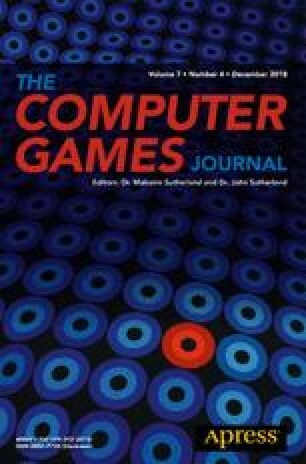 The study tries to argue a non-discursive approach to both game history and game sound technology. In conclusion it will show that only a mid-range theory of actual historical objects can be possible, expatiated with PSG sound. Subsequent research could try to investigate such an approach to analyze one specific game and its sounds (by its algorithms and signal outcome), one specific PSG type, or one comparable feature of divers PSGs. All editorial decisions for this article, including selection of reviewers and the final decision, were made by guest editor Dr. Kenny McAlpline. I would like to thank Nikita Braguinski for some musicological explanations, Malte Schulz, Markus Hohmann, and the members of the VIC-20 and TRS-80 Facebook groups for technical hints, and Jana Pauls for her copy-editing. Anon. (2018). The FPGASID project [online]. http://www.fpgasid.de. Accessed September 25, 2018. C64-wiki.de. (n.d.). STEREOinSID [online]. https://www.c64-wiki.de/wiki/STEREOinSID. Accessed September 25, 2018. Caprani, O. (2014). The PONG game [online]. http://cs.au.dk/~dsound/DigitalAudio.dir/Greenfoot/Pong.dir/Pong.html. Accessed September 25, 2018. Codebase64.org. (2017). base:reduce_noise [Codebase 64 wiki] [online]. http://codebase64.org/doku.php?id=base:reduce_noise. Accessed September 25, 2018. Commodore 64 Scene Database. (2008). [CSDb]: Vicious Sid by mixer and SounDemoN and the human code machine (2008) [online]. https://csdb.dk/release/?id=72678. Accessed September 25, 2018. DEC. (1978). DECUS. Program library PDP-8 catalog. Digital equipment corporation users society, August 1978. Maynard: DEC. https://ia601903.us.archive.org/20/items/bitsavers_decdecuspratalogPDP8Aug78_9573422/DECUS_Catalog_PDP-8_Aug78.pdf. Accessed September 13, 2018. Devilmarkus. (2018). Sigma Seven can destroy your hardware! [online] CPCWiki. http://www.cpcwiki.eu/forum/amstrad-cpc-hardware/sigma-seven-can-destroy-your-hardware. Accessed September 25, 2018. Friedrich-Alexander-Universität Erlangen-Nürnberg. (2016). Die Zuse Z23 “macht Musik”. [Online Video]. 5 July 2016. https://www.youtube.com/watch?v=W673CMnf1_4. Accessed September 25, 2018. Garmoney, J. (1978). Jukebox [Tandy TRS-80]. http://www.planetemu.net/rom/tandy-radio-shack-trs-80-model-1/jukebox-19xx-james-garmoney-bas. Accessed September 25, 2018. GI. (1979). AY-3-9810/9812 programmable sound generator data manual. O.O. : General Instruments. http://txt3.de/sndchp4. Accessed September 11, 2018. Hahn, D. (n.d.). [online] Atari’s promise means it’s not cheating. http://www.randomterrain.com/atari-2600-memories-cheating.html. Accessed September 25, 2018. Höltgen, S., & Othmer, T. (2013). Sounds like a Melody. Computer & Sound: Periphere Musikemissionen. In: Der Freitag. https://www.freitag.de/autoren/stefan-hoeltgen/sounds-like-a-melody. Accessed September 7, 2019. Kong Daddy. (2008). Absolutely amazing, the VIC20 actually has 5 sound channels! [online]. Commodore Forum. https://www.lemon64.com/forum/viewtopic.php?t=28481&sid=46838ace874347610906601d7ebe668b. Accessed September 25, 2018. Norman, J. (n.d.). The IBM 7094 is the first computer to sing [online] Jeremy Norman’s History of Information.com. http://www.historyofinformation.com/expanded.php?id=4445. Accessed September 25, 2018. Reed, M. (n.d.). TRS-Opera [online] TRS-80.org. http://www.trs-80.org/trs-opera/. Accessed September 25, 2018. Toshi. (2017). Commodore C64/264 audio/video Kabel nach Cinch/S-Video [online]. https://forum.classic-computing.org/forum/index.php?thread/11546-commodore-c64-264-audio-video-kabel-nach-cinch-s-video/. Accessed September 25, 2018.
van der Meer, J. H. (2016). Artikel: Instrumentenkunde. In Lütteken L. (Ed. ), MGG online. Kassel/Stuttgart/New York. https://www.mgg-online.com/article?id=mgg15503&v=1.0&rs=mgg15503. Accessed September 7, 2018. Xuel. (2018). FujiConvert 0.1 [online] AtariAge. https://atariage.com/forums/topic/279232-fujiconvert-01/. Accessed September 25, 2018.